Before we get to the enforcement reasons for strict LOTO compliance, let’s first note that the associated hazards that LOTO was designed to protect against are serious and frequently realized. Workers performing service or maintenance on machinery face the risk of serious injuries and even death, if hazardous energy is not properly controlled. The most common types of injuries from unexpected energization during maintenance are amputations or lacerations to body parts, as well as electrocutions, burns, and crushing/struck-by. OSHA reports that “craft workers, electricians, machine operators, and laborers are among the 3 million workers who service equipment routinely and face the greatest risk of injury. Workers injured on the job from exposure to hazardous energy lose an average of 24 workdays for recuperation.” OSHA also explains that the failure to control hazardous energy accounts for 10% of the serious accidents in most industries. While employers should never lose focus from that important safety reason to focus on LOTO, the purpose of this article is to address the numerous regulatory enforcement reasons that getting LOTO right is uniquely important. Amputations, which is one of the primary hazards intended to be addressed by effective LOTO, is one of the only specific injury types for which there is a special duty for employers to proactively to report to OSHA. 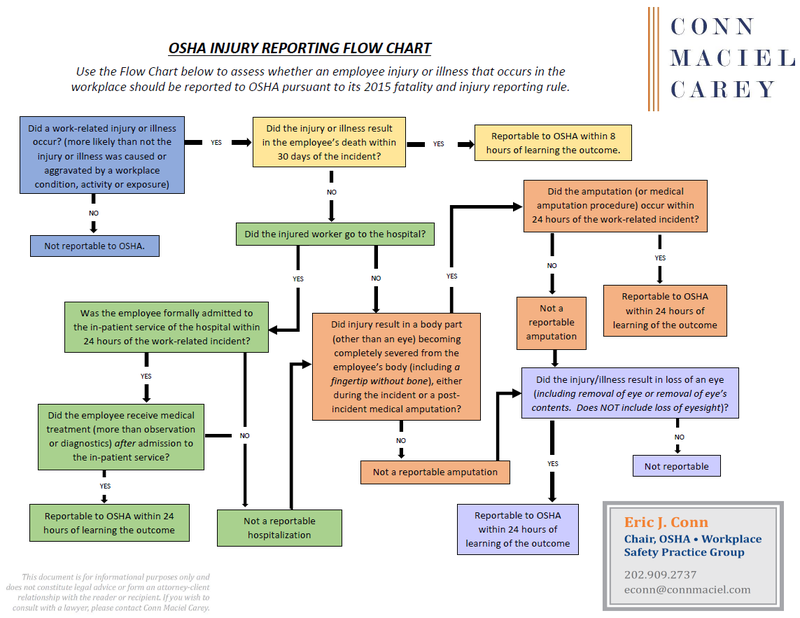 In 2014, OSHA updated its fatality and significant injury reporting rule at 29 C.F.R. 1904.39 (“Reporting fatalities, hospitalizations, amputations, and losses of an eye as a result of work-related incidents to OSHA”) to to lower the threshold for reporting injuries to OSHA from the hospitalization of three plus employees from a single incident, to a new duty to report the in-patient hospitalization of a single employee. Check out our blog article regarding the nuances of the amputation reporting requirement. Since the updated reporting requirements covering amputations became effective in 2015, more than 2,500 amputation injuries have been reported to federal OSHA each year. Reporting data that OSHA shared also indicates that in 2015, 2016 and 2017, OSHA responded to these reports of amputation injuries by initiating an on-site inspection 59%, 49%, and 47% of the time. In other words, amputation injuries (often because of failure to implement LOTO) occur frequently, and when they do occur, employers must proactively notify OSHA about them, and when they do, OSHA is very likely to respond to the report by conducting an enforcement inspection. Every year, OSHA publishes a list of the Top 10 most frequently cited standards from the prior year. One thing we have learned from tracking that list year after year is that the list rarely changes in material ways. Sometimes the order of the 10 most frequently cited standards shuffles a little, but it tends to be the exact same regulatory requirements that OSHA is citing en masse each year. The other thing we have learned is that the list is a bit self-fulfilling; i.e., these standards are frequently cited, so OSHA compliance officers specifically seek out violations of the standards during inspections. One more thing we have learned from tracking the list, is that LOTO violations are always among those league leaders. Last year, just like the years before, LOTO violations ranked in the Top 3 most frequently cited standards in general industry, and Top 5 overall. Year in and year out, employers make the same mistakes and compliance officers scrutinize LOTO programs to the tune of thousands of individual LOTO violations (2,877 such violations issued in 2017 alone). Many employers assume OSHA will not inspect their workplaces unless there is an employee complaint or accident, but the reality is, a significant portion of OSHA’s enforcement inspections are “programmed” inspections under a National, Regional or Local Emphasis Program. One of the main reasons LOTO violations remain high on OSHA’s frequently cited list is that for more than a decade now, OSHA has been implementing an enforcement National Emphasis Program (NEP) on Amputations. The Amputations NEP began in 2006 with a stated purpose to reduce machine and equipment hazards that cause amputations. OSHA has been attempting to accomplish that purpose by targeting violations of OSHA’s Lockout/Tagout standard (1910.147) and Machine Guarding standards (1910.212, .213, .217, and .219). Last year, federal OSHA conducted more than 3,500 inspections under the Amputations NEP (which constituted more than 10% of all fed OSHA inspections conducted last year), finding roughly 7,800 violations, and proposing more than $55 million in civil penalties. Given these numbers, employers in industries subject to the Amputations NEP would be well-advised to proactively audit their LOTO programs to find and fix deficiencies in their written programs and gaps between the written programs and what is being implemented in the field. Routine citations aside, failing to understand and apply LOTO correctly can have “severe” consequences for employers—perhaps most problematic among them—qualifying into OSHA’s dreaded Severe Violator Enforcement Program (SVEP). To that end, OSHA created four categories of violations that would land an employer in SVEP. One of the four categories is being alleged to have committed two or more willful or repeat violations related to a “high-emphasis hazard,” which is a list of specific hazards on which OSHA is focused. On that list of high emphasis hazards, of course, is amputations. And of the four categories that can qualify you into SVEP, this high emphasis hazard category is responsible for pulling in nearly 70% of all SVEP employers. enhanced settlement terms, such as corporate-wide abatement, requiring third party audits, etc. Because OSHA continues to implement its Amputations NEP, and because amputation injuries require a phone call and report to OSHA, and because LOTO violations appear to be a permanent fixture on OSHA’s Top 10 list, then the risk of getting Repeat LOTO violations is uniquely high. And since Repeat LOTO violations can qualify you into SVEP, employers need to make LOTO compliance an extremely high priority. Pursuant to the Sentencing Reform Act of 1984, 18 USC § 3551 et seq., which standardized penalties and sentences for federal offenses, the criminal penalty for willful violations of the OSH Act causing loss of human life was set at $250,000 for individuals (18 U.S.C. Sec. 3574(b)(4)), and $500,000 for organizations (id. at Sec. 574(c)(4)). Few criminal charges are pursued under the OSH Act, often because it is difficult to link the direct cause of an employee’s death to a specific OSHA regulatory violation. Two regulatory requirements for which that link is often fairly clear are deaths inside a trench that collapse and death by contact with parts of a machine that starts unexpectedly (i.e., failure to adequately implement LOTO). As a result, we have seen more criminal prosecutions involving OSHA’s trenching standards and LOTO than any other regulatory requirement. The risk of criminal charges, including potentially charges against individual managers, is another fine reason employers should focus resources on LOTO compliance. proof of periodic LOTO inspections. As we discuss in detail in Part 2 of this article, even the most diligent employers, it seems, make one or more mistakes with respect to those requirements—often due to an oversight, misunderstanding or miscommunication. To reduce the likelihood that OSHA will find fault with an employer’s LOTO program, employers should proactively audit every aspect of their LOTO policies, practices and procedures, and seek advice from an expert safety consultant or experienced OSHA defense attorney, and then act quickly to correct any LOTO program deficiencies that are identified. For more information, check out Conn Maciel Carey’s recent webinar: “Unlocking the Mysteries of OSHA’s Lockout/Tagout Standard.” Here is a link to a PDF of the slides from the webinar.